Catavino Internet Services: the spawn of the website mentioned above, started in 2005 by the two passionate wine lovers behind the Catavino site. Catavino Internet Services specializes in creative cost-effective marketing strategies using the Internet. They are the European prophets of leveraging today’s “social internet” to build your brand and better strengthen your online identity. So why mention Catavino? Well besides the fact that the “two passionate wine lovers”, Ryan and Gabriella Opaz, are totally rad, cool, hip, and da’ bomb-diggity? Well they were speakers at the London Wine Fair’s 30th Anniversary Pre-Show Conference! It’s a Ceci Sipper Sandwich with some 100% Whole grained Catavino Bread!! For those of you who are new to the blog or maybe you just haven’t been around VinousLand in a while, I am recapping my adventures from the 2010 London International Wine Fair that I attended back in mid-May. Being the I am a VIB (read: Very Important Blogger!) =P I was lucky enough to attend a special conference held the day before the London Wine Fair to celebrate the 30th Anniversary. The conference was split up into two parts, “Understanding the UK Wine Market” & “Making the Most of Online Media” and we have moved on the second part, and the second presentation put on by …. Catavino! And if you have any beef with me talking about this almost a month after the event happened, well that can be answered very easily – last month of Masters in Wine Business Program = lots of assignments, projects, papers, presentations, etc. I know, I know, cry me a river right? Anyways, enough of the sappy violins! The presentation was made by Ryan, the Mr. from the couple who runs Catavino, and he is not your typical presenter! He is more of a ‘comical, in-your-face, witty, tell-it-like-it-is’ type of presenter and we couldn’t need that style more in bringing the wine industry over to the promise land of ‘wine online’! 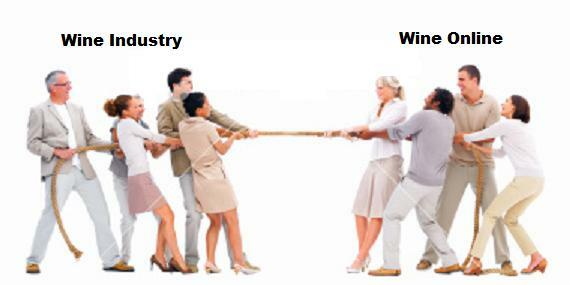 I suppose it’s more like a tug-of-war game really! So what was the presentation about? Well basically Ryan took off his “glove” and “back-handed” the audience across the face! Hahahahaha. Gotta keep that ‘wine & social media pimp hand’ strong! He spoke about how there have been obvious changes in the wine world with the onset of the World Wide Web back in the 90’s, but that what has recently thrown the wine world the proverbial ‘curve ball’ is social media and social networks! He asked if wine businesses and winemakers were scared of the social network/social media concept. Because they shouldn’t be. 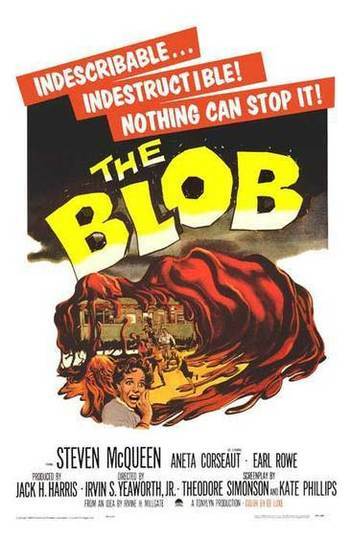 I mean, The Blob is scary and unstoppable, but Social Media/Networks are not scary … although they are unstoppable! Social Media/Networks are just tools to help them get their wine brands out there, get the conversations/buzz going about their ‘product’, and connect with their customers! And it’s this exact term, ‘democratization’ that it key! Social Media/Networks are doing just that, they are ‘democratizing’ wine and I know I am not alone when I say that it is one of the best things to happen to the wine industry since, well since grapes! Ryan said there will be the ‘disappearance’ of Parker-like critics and less ‘ce-web-rities’ like Gary Vaynerchuk and Jancis Robinson and the shift is moving more towards groups of people who move wine and create the hype/buzz about it! We will see the dawn of the new “critics”- the masses! Whatever the platform, he said we need to find new way to talk to the wine consumer. He emphasized that we need to talk to the average Joe of wine, not the wine geeks. He told the audience, one of the first steps to take (more like a jump really) is to get out there and be brave! Don’t let others own your brand by creating the buzz for it! Interact! Engage! Own your own brand! “With Social Media tools you can make big waves!” he said. 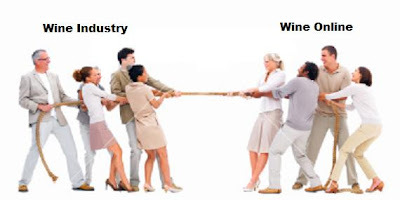 We have now reached a day in age when consumer relationships are the key to any successful business and the wine industry isn’t any different. If you are not engaging and interacting with your consumers, you are voluntarily taking yourself out of the game. Why would you do that? As one of the key voices in the online wine world, Robert Macintosh from Wine Conversation, said in the video below, social media/networks are offering channels for the wine producers/businesses to directly communicate with their consumers, to connect with them and provide them with a relationship with the brand, offering the consumer a direct way to see the benefit of that particular wine and the personality/story inside the glass (or bottle in my case). This is an opportunity that wasn’t available less than a decade ago. Now the best way for me to communicate more about the amazing efforts being done by Catavino, is to let them do it themselves. Here are two videos they put together from the festivities that went down at their booth, The Access Zone, at the London International Wine Fair. I also really encourage you to visit their site and spend a good chunk of time browsing the endless amazingness that is Catavino! I know you will learn A LOT, be very entertained, and feel very, very welcomed! For anyone out there who really wants to plunge into this Wine & Social Media world and get an in-depth look at the various platforms available to the wine world, I recommend reading the “State of Wine Industry Social Media” Report (By VinTank, Derek Bromley, and Tom Wark May 6, 2009) It can be your ‘summer reading assignment’! I know I’m going! So I hope to see you there! Hope you have a great Sunday! See you on the next post!